Rip it up and start again! 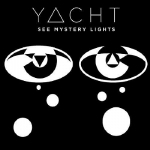 Yacht release their new album this month, an eclectic affair to say the least, dead pan vocals, scattered beats and electronic melodies chop about all over the shop. If you like LCD Soundsystem then this is right up your street. No coincidence they are signed to James Murphy's DFA label then.